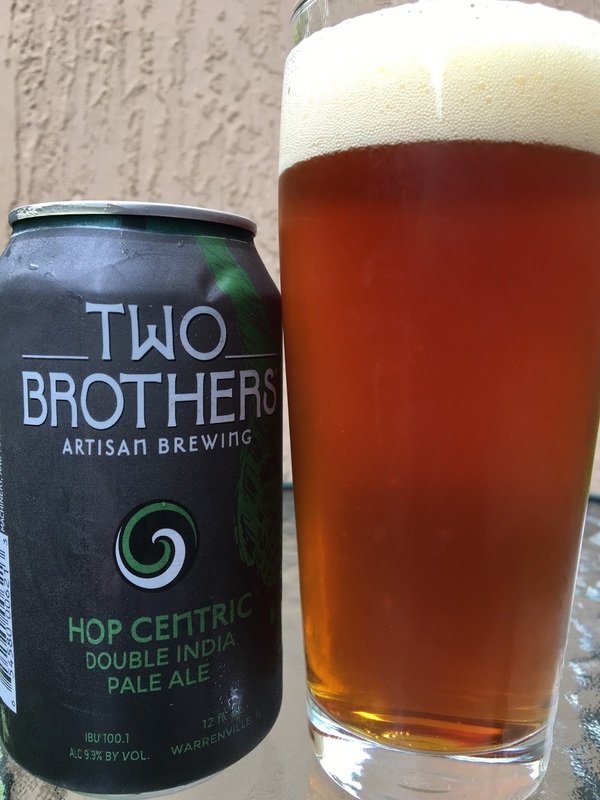 Two Brothers Artisan Brewing recently sent me a can of their Hop Centric DIPA. We get some of their beers here in Miami, but I haven't seen this one on the liquor store shelves. Maybe soon, as it's a seasonal. A story on the back of the can sets your expectations. The beer is released just in time for Two Brothers Summer Festival. 9.9% alcohol. 100.1 IBU. Lots of pine, a little citrus and a hint of spiciness in the aroma. Spicy, citrus flavors to start. Bright, sharp, hoppy flavors shine as well. Interesting and unique. There is a very distinct caramel richness adding some sweet balance. A little alcohol heat in the chest at the finish lets you know who's boss. Terrific and different. Loved it!